FIA hosted the 12th Annual Asia Derivatives Conference (Asia 2016) this 6-8 December 2016 at The St. Regis Singapore. With record trading volume growth in 2015, and accounting for over a third of global volume in the first half of 2016, the Asia-Pacific region continues to build a robust listed and cleared derivatives ecosystem, improving global access to this burgeoning marketplace. In addition to regular features such as the discussion among exchange leaders, an assessment of clearing house issues, regulatory developments and the now-famous Great Debate, the programme included sessions on product development at exchanges in the region, the continuing impact of China, how local firms are dealing with operations and technology issues, and more. Check out the PROGRAMME from Asia 2016. FIA returned to THE ST. REGIS SINGAPORE for Asia 2016. Located in Singapore's premier shopping district and steps away from the UNESCO World Heritage Site of the Singapore Botanic Gardens, The St. Regis Singapore offers impeccable service and accommodations. Top executives at global exchanges and clearinghouses as well as brokerage firms came together from 8-10 December 2015 for the 11th Annual Asia Derivatives Conference. 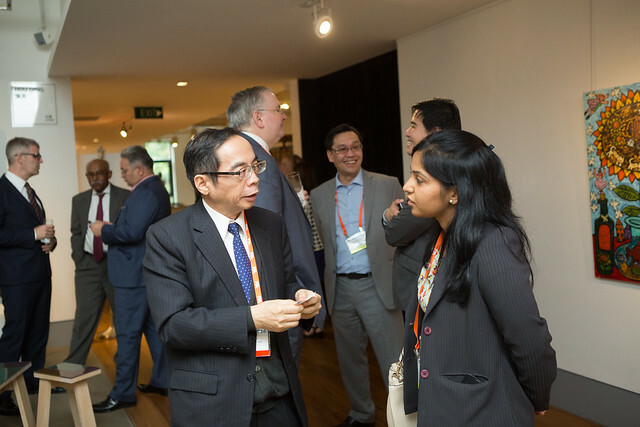 Covering topics like the health of the clearing ecosystem, global regulation, automated trading and developments with Asian clearinghouses, Asia 2015 attracted nearly 800 attendees and features more than 30 exhibitors. Check out highlights from 2015.